Gluten and dairy free carrot cupcakes. 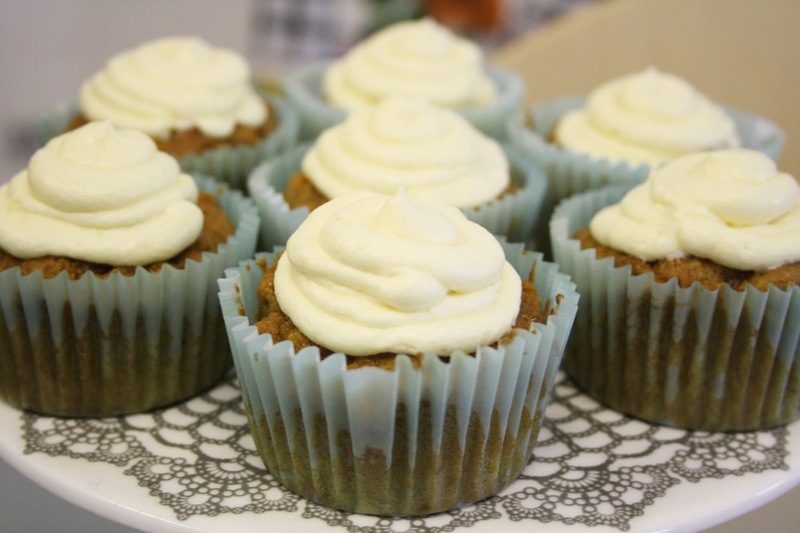 A tasty classic treat turned into a scrumptious free from bake, these gluten and dairy free carrot cupcakes are just as tasty as ever – in fact they're so yummy that you really wouldn't know they were gluten free - they're deliciously moist and utterly scrumptious! Pre heat your oven to 180c/170c fan/gas mark 4 and place your cupcake cases in a tray. Cream together the stork and sugar till combined to a lovely creamy consistency – you can also use dairy free margarine for this bake should you prefer. Add in the eggs one at a time and mix. Sift in the flour, xanthan gum and mixed spice, adding the flour a little at a time to mix together till fully combined. Then add in the grated carrot and chopped walnuts, and fold in to mix. The result will be a lovely mixture that smells utterly scrumptious! Spoon the mixture into the cases, filling each around 2/3 full. Bake for 15-18 minutes till risen and golden. Then place your cupcakes on a wire rack to cool down. 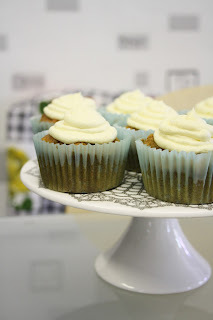 Once your cupcakes have cooled, start mixing the frosting to top your tasty bakes. Whisk together the stork with half of the icing sugar till fully combined, then sift in the remaining icing sugar and whisk well. 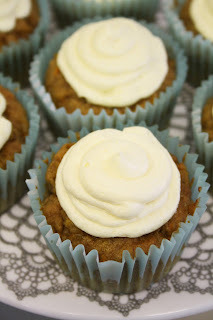 Add in the vanilla extract and whisk for 2-3 minutes for a lovely light frosting. Whilst most carrot cupcake recipes do use cream cheese frosting, this dairy free version is just as delicious – making for a yummy batch of cupcakes! 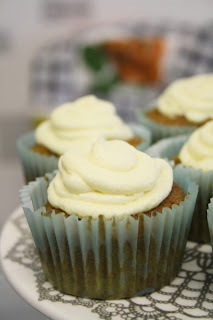 Spoon your frosting into a piping bag with a round open nozzle, pipe a small swirl on top of each cupcake, then top with a second swirl to build up the layer of frosting to finish off your bakes perfectly. The end result is certainly delicious, these will last well for several days when kept in an airtight container – they're still just a moist & yummy a couple of days afterwards! Recipe adapted from “Gluten free baking” Michael McCamley. A tasty staple bake that's always handy to use up some over ripe bananas, this gluten and dairy free version is just as yummy, and incredibly quick to make, so you can leave your oven to do the rest of the work for you! 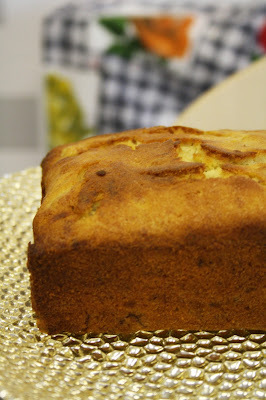 It's a recipe that's always handy to have around, so finding this gluten free banana bread recipe was great - it's one of my favourite bakes to knock up for a quick and easy cake. I've made a few tweaks to the original recipe (as referenced in at the end of the page), that work perfectly for me and should hopefully come in handy for fellow gluten/lactose intolerant bakers too. Pre heat your oven to 180c/170c fan/gas mark 4. Grease and line a loaf tin ready for your bake. Cream together the dairy free margarine and sugar till pale and fluffy. Then add in the eggs one a time and mix, followed by the vanilla extract, then whisk to mix in. Sift in the gluten free flour, adding half the quantity to start, then add in the remaining flour with the baking powder and mix well. 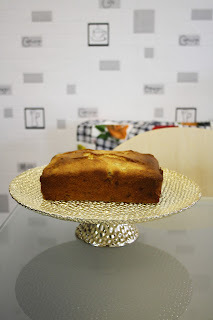 For this bake I used Dove's Farm plain flour, but I also recommend Sainsbury's own label gluten free plain flour too - both have been perfect for my free from bakes to date! Then add in the over ripe bananas, you'll want to mash these beforehand so they're ready to add in to your cake mix. 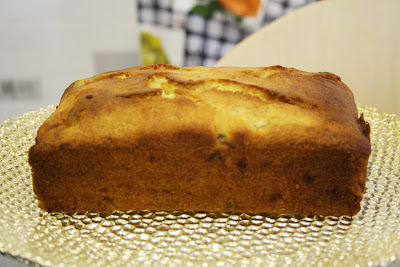 Fold to mix the bananas in with your cake mixture. 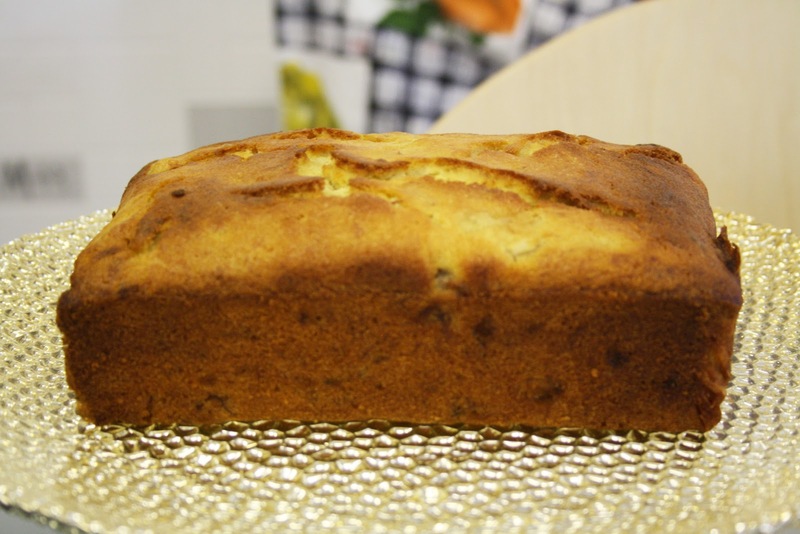 Spoon the tasty cake batter into your loaf tin and spread evenly to level it out. Then bake for 45-50 minutes, till a cake skewer comes out clean. 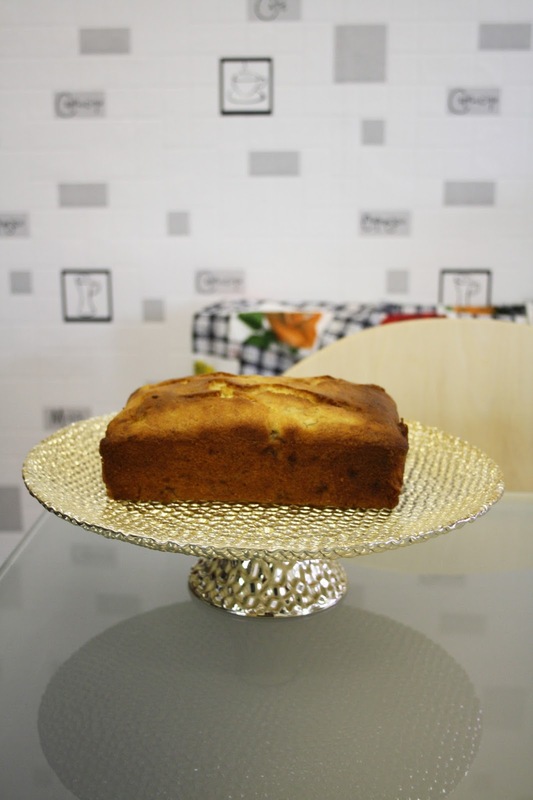 Leave the cake in the oven to set for an hour before removing it from the tin and placing on a wire rack to cool down. The end result is just as tasty as you remember, in fact I found that this was easier and quicker to cook than my old gluten filled banana bread recipe! It should last well for a few days when kept in an airtight container. Recipe adapted from “The best gluten-free, wheat-free and dairy-free recipes” Grace Cheetham.